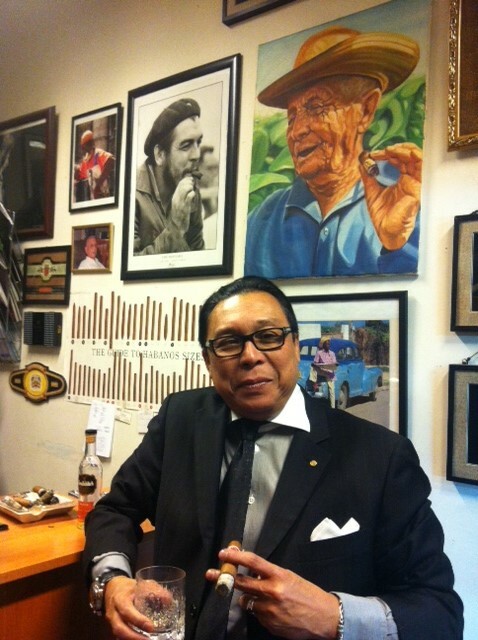 Ladies & Gentlemen I am glad to introduce you Mr. Iskandar Hadrianto, a new Cuban cigar friend. Following his smoking history. Enjoy it. When I grown up, was influenced by both my grandfather from my father side who smoke cigar and my grandpa from my mother side who smoke pipe. Both convinced me not to smoke cigarette as when one out of stock he might starts asking around. “It’s embarrassing & disgrace you” they said. So I change my habit. I stop smoking pipe when I know Andi Yanti, now my wife. There’s a reason. I was so lazy to keep my pipe in the pouch and just put it into my trouser pocket or jacket and it make it dirty. My fiancée doesn’t like it. Then I change to cigar. My wife is a very understandable & tolerance lady and she’s kind of spoiled me with cigars and accessories starting from Dunhill scissor, cutter, puncher up to a humidor from Davidoff she bought for me for our 3rd wedding anniversary in 1992. That’s why I try to stick myself as a family man who love his wife and kids; Monday-Friday earn a living; Saturday-Sunday are for family… but Friday evening from 21.30 to 02.00AM is mine to go to my cigar club. And as a modest cigar smoker, I have my own ‘religion’: if my wife doesn’t like me to smoke cigar, am simply change wife”. I starts smoking my first cigar in 1977. It was Montecristo Pyramid I got it from my grandpa. 3) the best Cuban cigar you smoked in your life? the best cigar that I ever smoke (recently) is Cohiba 1966. I use to start lightning my first cigar at around 11.00AM. Cigar with single malt I prefer medium to full body such as Partagas Lusitania or one of my fav Cohiba Siglo VI. Recently I smoke Wide Churchill and its also perfect with single malt. It was a really pleasure speak with you, Iskandar …. good ashes.